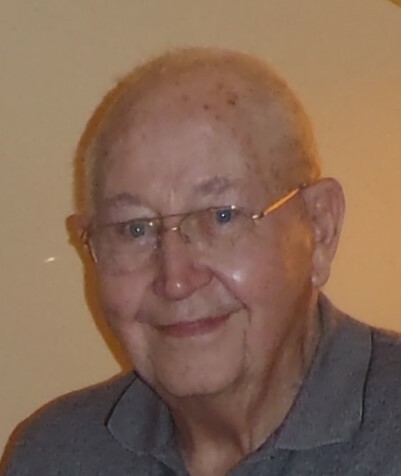 Nathan Moore, Jr., 98, passed away late Thursday evening March 28, 2019, at his home after a long illness. A native and life resident of Hartford City, he was born November 7, 1920, one of four children to Nathan and Nellie (Willman) Moore, Sr. “Nate” as he was affectionately known, was a 1941 graduate of Harford City High School and served in the U.S. Army during World War II. Nate retired in 1982 from Warner Machine Products of Muncie, after several years of employment. He was a 30 year member of the Hartford City Volunteer Fire Department, a 50 year member of Blackford Lodge #106 F. & A.M., also the American Legion Post #159, the AmVets Post #23, all of Hartford City, as well as the Indiana Volunteer Fireman’s Association. He leaves behind two daughters: Nancy DeWitt (husband Dennis) and Susan Deskins (husband David), Step-children: Jack Cain (wife Becky), Sondra Sandoe (husband Stanley), Marilyn Price (husband John) and Cindy Whitenack (husband Greg); one sister, Marsha Moore; five grandchildren, 5 great-grandchildren and several step-grandchildren and step-great-grandchildren. In addition to his parents, he is preceded in death by his first wife, Frances M. (Hoover) Moore on Oct. 6, 1980. His second wife, Wilda (Kravis) Moore on October 3, 2015; one brother, Bob Moore and a sister, Maxine Welsh. Services will be at 2:00 P.M. Thursday, April 4, 2019 in Waters Funeral Home, 501 W. Washington St., with the Indiana Volunteer Fireman’s Assn. Chaplain and Nate’s grandson, Dennis Wayne Nottingham presiding. Private burial will follow at Gardens of Memory Cemetery, Muncie. Visitation for family and friends will be on Wednesday, April 3rd, at the funeral home, from 4 – 8 P.M. The Memorial Bible Presentation and grave marker presentation by the I.V.F.A. will be at 6:30 P.M., Then, a Masonic Memorial Service will begin at 7:00 P.M. Wednesday. Additional visitation will be from 1:00 – 2:00 P.M. Thursday at the funeral home.